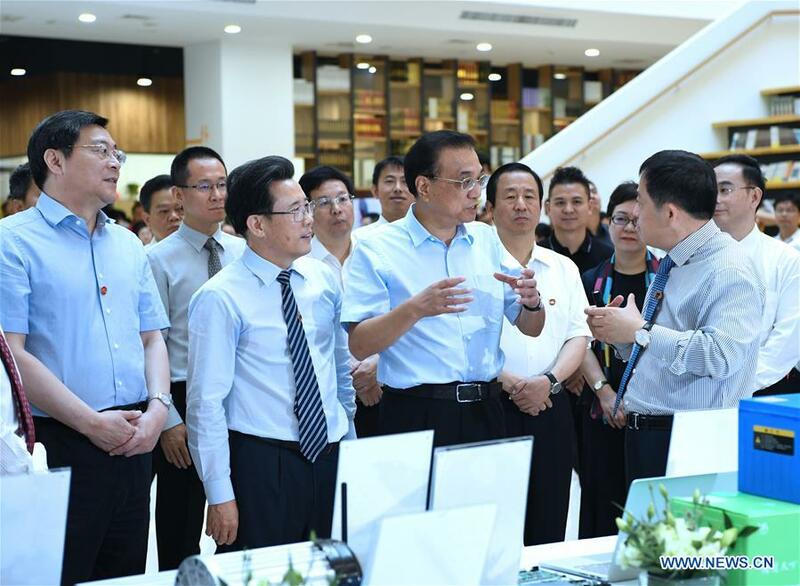 Good business environment, rather than favorable policies, should be the key to win businesses in industrial transfers, Li said during a two-day inspection trip to central China's Hunan Province, which ended Tuesday. He was accompanied by Hunan's Party chief Du Jiahao and governor Xu Dazhe during the trip. "China will further open up its market, we open our arms to embrace foreign businesses that will invest in China," Li said while visiting a wholly owned subsidiary of Germany's Bosch Group in Changsha, capital of Hunan Province. Products made by foreign companies in China are also made-in-China products and will be treated equally, Li said. Li also visited a paddy field in a village in Hengyang city, where he talked with local farmers. He called for more investment in and support for agriculture, and improvement of water conservancy, road and other infrastructure facilities. While visiting the Baishazhou industrial park in Hengyang, Li pointed out that transfer of industries from east regions to central and western regions was in line with economics rules and would contribute to balanced and coordinated development of different regions. Li urged local governments to further streamline administration and improve the business environment to boost the market. During his visit to a smart manufacturing workshop of machinery giant Sany Group, Li encouraged Chinese enterprises to roll out more highly competitive products to meet individual client demands and gain a forefront position in global high-end manufacturing. At 58.com, which has the country's largest online recruitment platform, Li stressed that employment is critical to people's livelihood and the nation's development. He called for support for the development of emerging business forms like the sharing economy and gig economy, which offer jobs and meet diverse consumer demands as Chinese people seek a better life.